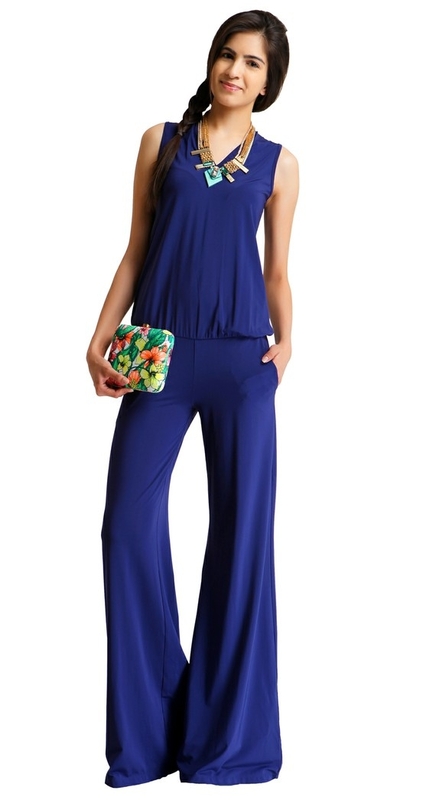 The leather jumpsuit is for avant-garde ladies with unusual preferences towards fashion. The leather outfit is always very much trendy and sensual. With this very thought, the jumpsuit made with the leather material has emerged into the fashion realm only to be a huge hit amidst ladies. There are different kinds of leather jumpsuits that you can choose from the following list. A black leather jumpsuit with sheer effect on the bodice is perfect for bold ladies who have a taste for different sorts of outfits. With leather bags and stiletto shoes, glam up in a party. Curves are beautiful ladies!! Check out a plus size black leather jumpsuit that is designed with a front zipline. Opt for a neutral shade of makeup to match. The full sleeved black leather jumpsuit is a trendsetter. Be it a winter evening out with friends or for a costume party with a gothic theme, this outfit is suitable. You can, however, add some metal pieces of jewelry to own the look of a stylish icon.